Many people are afraid of spiders. This fear is partly due to myths and to the notoriety of harmful species such as the brown recluse spider and the black widow spider. 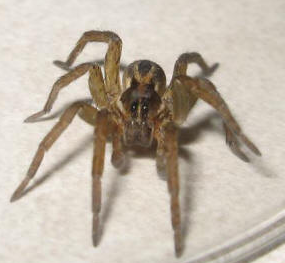 Several species of sac spiders are suspected of being responsible for most spider bites, especially ones occurring indoors. Sac spider venom is cytotoxic, causing tissues at the bite site to die. However, the vast majority of spiders are harmless to humans. Spiders are beneficial predators that reduce pest populations (flies, crickets, mites, etc.) in and around homes, yards, gardens, and crops. 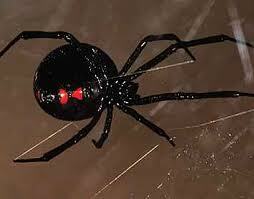 The adult female black widow spider has a shiny, jet black, spherical abdomen with two connected red triangles on the underside that form a characteristic hourglass marking. The brown recluse belongs to a group of spiders that is officially known as the "recluse spiders" in the genus Loxosceles (pronounced lox-sos-a-leez). These spiders are also commonly referred to as "fiddleback" spiders or "violin" spiders because of the violin-shaped marking on their back. 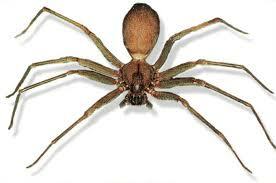 This feature can be very faint depending on the species of recluse spider. The physical reaction to a brown recluse spider bite depends on the amount of venom injected and an individual's sensitivity to it. Some people are unaffected by a bite, whereas others experience immediate or delayed effects as the venom kills the tissues (necrosis) at the site of the bite.